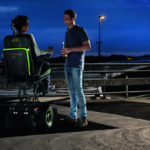 Take your seat and experience the new revolution in powered wheelchairs! 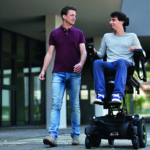 The JIVE M² Sedeo Ergo redefines powered wheelchair technology, inside and out. 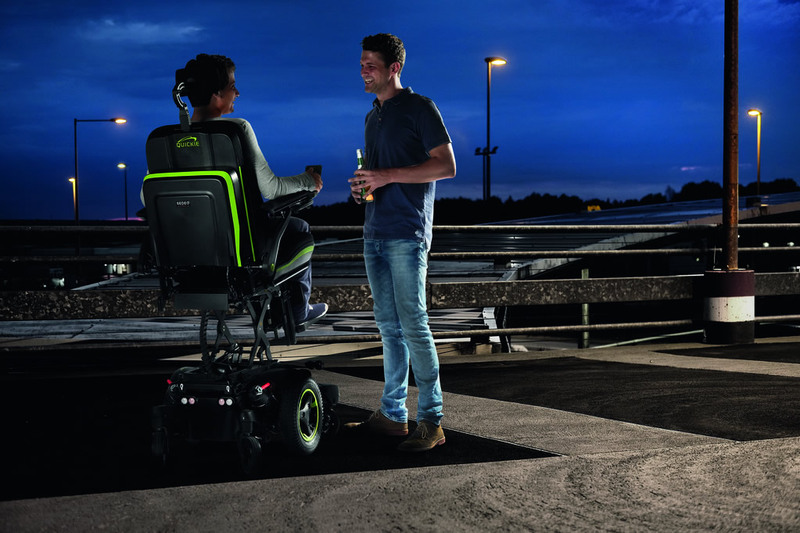 Unparalleled outdoor performance combined with the ultimate indoor manoeuvrability, the Jive M² Sedeo Ergo not only makes it possible to have the best of both worlds – it also combines it with a revolutionary seating system to meet your every demand. 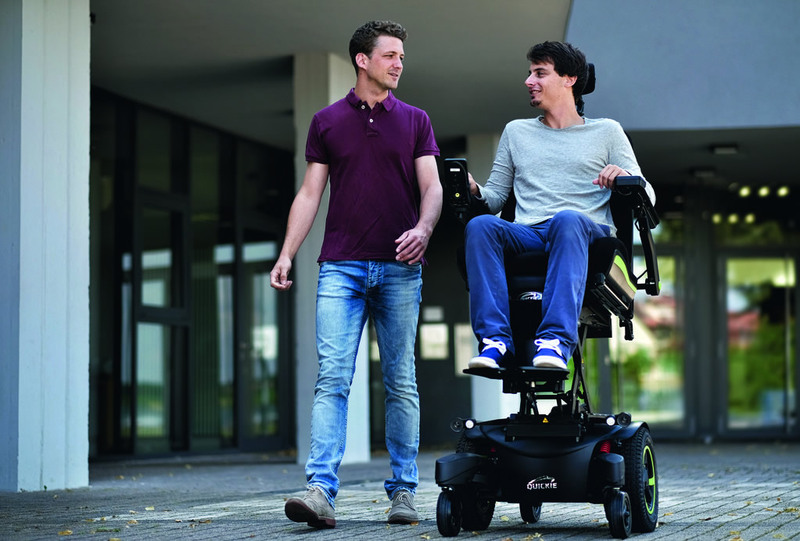 The JIVE M2 Sedeo Ergo’s seat positions you like no other powered wheelchair on the market – thanks to its patented biometric repositioning feature. When moving from a full-recline to seated position, the JIVE M2 Sedeo Ergo will pass through an intermediary tilt position, keeping your body naturally positioned against the seat at all times and reducing the risk of sliding during de-recline (especially if you struggle to re-position your body yourself). The 175° power recline of the JIVE M² Sedeo Ergo backrest is supported by an 180mm adaptive anti-shear function. Its patented unique mechanism allows the headrest, head and even chin control to stay in place during the full recline operation. The elegant, multi-adjustable seating system looks brilliant from every angle. With its sharp-tailored upholstery, clean lines and slick minimalistic design, it’ll leave you with the lasting impression of comfort that never fails to catch the eye. Plus, create a personalised look with a selection of 6 striking colour inlays that you can change whenever you feel like it. The JIVE M² Sedeo Ergo also provides the very best handling and stability. Turning on its own axis, it’s a powered wheelchair that provides an ultra-small turning circle for excellent indoor manoeuvrability. Tackling outdoor terrain? Its SpiderTrac 2.0 Suspension not only assures a smooth ride over uneven terrain, it also eliminates forward pitching – even when descending 10 cm kerbs! Plus, any small deviation from your path is automatically detected and corrected with the (optional) gyro tracking system – assuring you of a safer, less-demanding drive every time. If you have any questions at all regarding the Jive M2 Sedeo Ergo or would like to book an appointment to be assessed please do not hesitate to contact us on 0330 0581 008 (Local call rates apply) or FREE PHONE 0800 626 829 or complete the form on this page and we will get back to you.